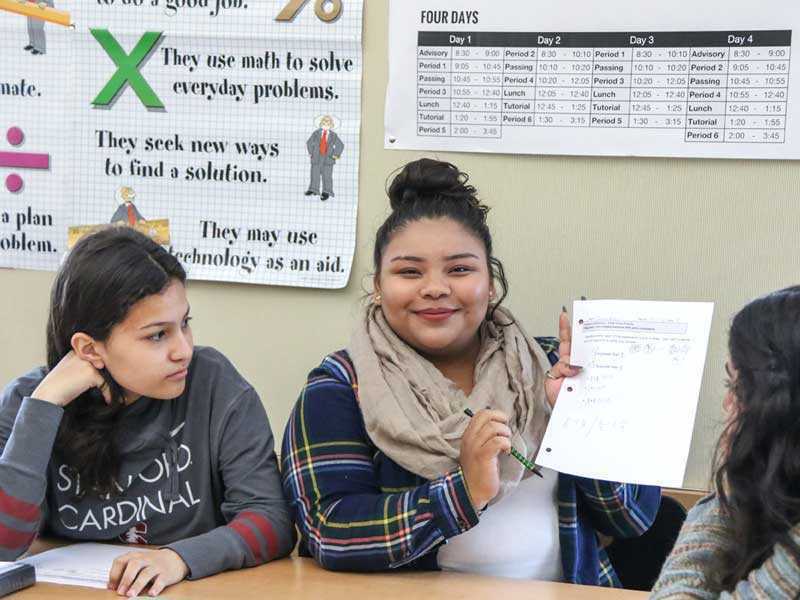 The Navigate Math course is a self-contained course within Leadership Public Schools (LPS), focused on backfilling students’ math skills in preparation for Algebra 1. The majority of the content spans 2nd through 7th grade, meaning the teacher must have broad knowledge of many grade levels worth of content. Navigate Math teachers generally work alone in their individual schools, but they do collaborate through a network within LPS that meets periodically through Google Hangouts to share practices. The Navigate Math model provides personalized learning experiences for every student, so the teacher must be prepared to manage instruction for a class of about thirty. In addition to math skills, the course also focuses on life skills, and the teacher is responsible for both providing direct instruction of good practice, as well as enabling different systems to promote practice within the class (examples include partner work and team work).